Place all the ingredients in a large mixing bowl. Mix with a spoon or spatula. Serve with tostada or pita chips. You can add jalapeños or Serrano chiles for an extra spicy kick. I always like to have a treat ready when guests come over. Even when I get a surprise visitor, I take a few minutes to prepare something easy, quick and tasty. And a cucumber yogurt dip always comes to mind! It's super easy to make and it calls for ingredients I always have in my kitchen. 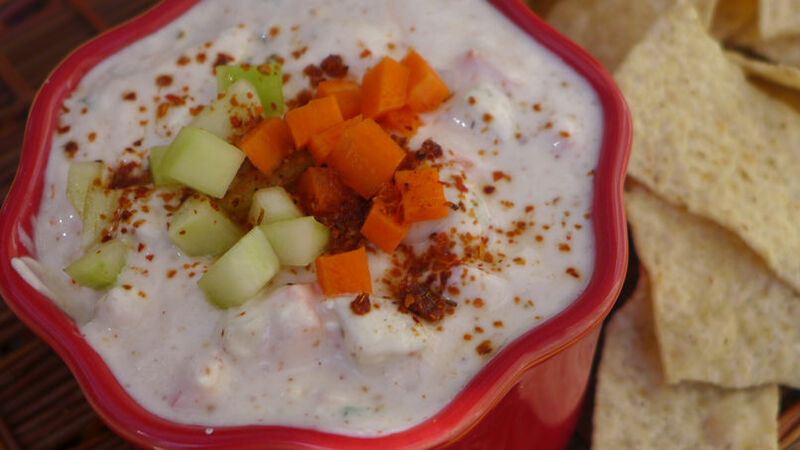 So, the next time you get caught off guard by a surprise guest, this dip is something you can serve in an impromptu moment.